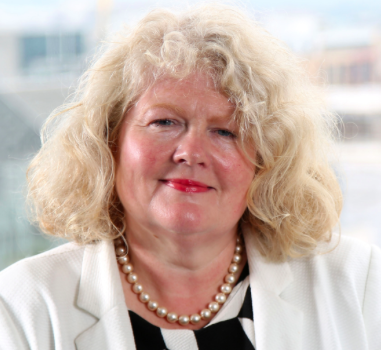 Michele Shirlow MBE – Farm Week Column 4th April 2019 | Food NI - Our Food So Good! An excellent example of this developing collaboration is the expansion of visitor centres which enable both locals and especially tourists to meet producers, experience behind the scenes and sample their fabulous food and drink. It’s a development which also helps sales outside Northern Ireland as tourists often look for products they’ve enjoyed here when they return home. They add a great deal to the visitor experience and also help enhance our reputation as The World’s Best Food Destination; a recognition achieved by Northern Ireland at last year’s prestigious World Travel Trade Awards. And it’s essential that we continue to encourage such enterprise as this helps to add interest, variety and people back stories to the tourism experience. Visitors attracted by this marvellous endorsement to understand our food and drink can now see how many of the products are being created and the people, often families, behind them. Our farms in particular have a tremendous track record in the development of original food and drink with heritage and provenance. And as companies across the food industry now recognise, consumers are increasingly in quest of understanding behind how products are made and the motivations of the people involved. The visitor centres are, in addition, supporting the growth of travel tours here. Encouragingly, many regions, especially the Causeway Coast, Mid and East Antrim, Derry and Strabane and the Ards Peninsula now feature successful food tours. Most food producers which have invested in visitor centres, I am also delighted to say, have been developed by progressive Food NI member companies. We’ve seen tremendous growth in particular in whiskey and gin distillery tours in many parts of the province, and all set in stunning landscape. There was just the splendid Old Bushmills Whiskey tour until a few years ago. Now we have Rademon, home of Shortcross Gin, in Crossgar, Echlinville in Kircubbin, a specialist in whiskey and gins such as Jawbox, Killowen near Rostrevor, the most recent producer of whiskey and gins, Boatyard in Enniskillen, also distilling gin, whiskey and vodka, and ion in Carrickmore with its rum, gin, whiskey and vodka. As well as offering distillery tours, Ruby Blue vodka and liqueurs in Moira operates what is probably our only school for distilling spirits at its Stillhouse bar and restaurant. Interesting tours are also provided by cider producers Armagh Cider Company and Long Meadow, both based near Portadown and key players within our vibrant cider processing sector. Long Meadow recently enhanced its appeal to visitors by hosting Ireland’s only ‘son et lumiere’ showcase in its orchards- a mystical experience and a rare opportunity to see an orchard at night. They also run successful art in the orchard and floral arranging classes. An impressive recent development, involving one of our most specialist businesses, is the centre at North Coast Smokehouse in Ballycastle, an enterprise owned by Ruardhi Morrison specialising in delicately cured and thoroughly delicious smoked salmon. Originally from Scotland but with a wealth of experience in curing salmon in New Zealand, Ruardhi settled in Ballycastle with his family and began curing salmon sourced from nearby Glenarm Organic Salmon Farm to his own unique recipe. North Coast Smokehouse is now being embraced by the Économusee network which promotes artisan enterprises and provides opportunities to visitors to learn about their craft. North Coast Smokehouse joins four other Food NI members – Broighter Gold, Limavady; Broughgammon Farm, Ballycastle; Hillstown Brewery, Randalstown; and Ursa Minor Bakehouse, also Ballycastle in the local network. Originally created in Quebec, an Économussee enables artisans to open their workshops to the general public so they can share their knowledge and passion and sell products made on the premises. This all adds up to a dynamic and innovative industry making a substantial contribution to the growth in both short and long-terms of food and drink tourism, something which I have always believed is one of the growth sectors of the future.